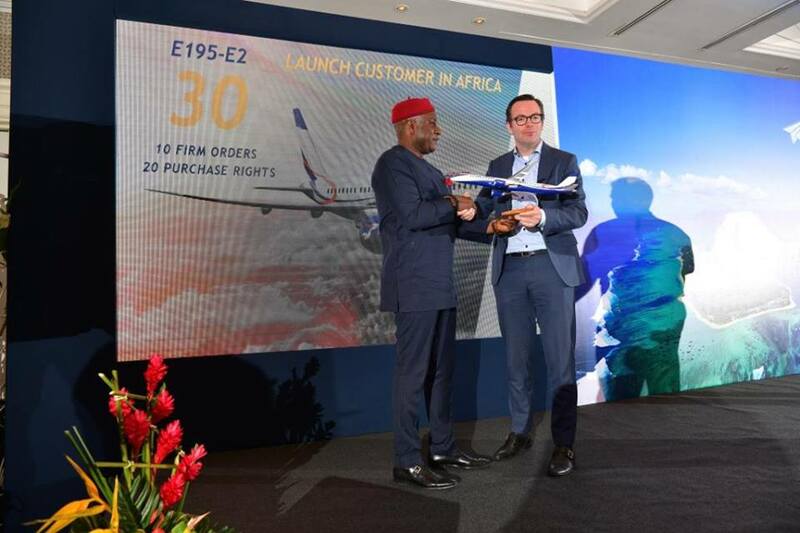 Air Peace orders 30 brand new E195-E2 jets in $2.1bn deal with Embraer - AutoReportNG "AutoReportNG-The No 1 Car Blog In Nigeria That You Can Trust - AutoReportNG"
“Without these noble gestures from my President (Muhammadu Buhari),” he said, “Air Peace would not have been able to achieve this growth. Thank you very much, Mr. President". For his part, Vice President, Sales Africa, Embraer Commercial Aviation, Mr. Raul Villaron said: “Air Peace embodies the kind of pioneering spirit Embraer loves. 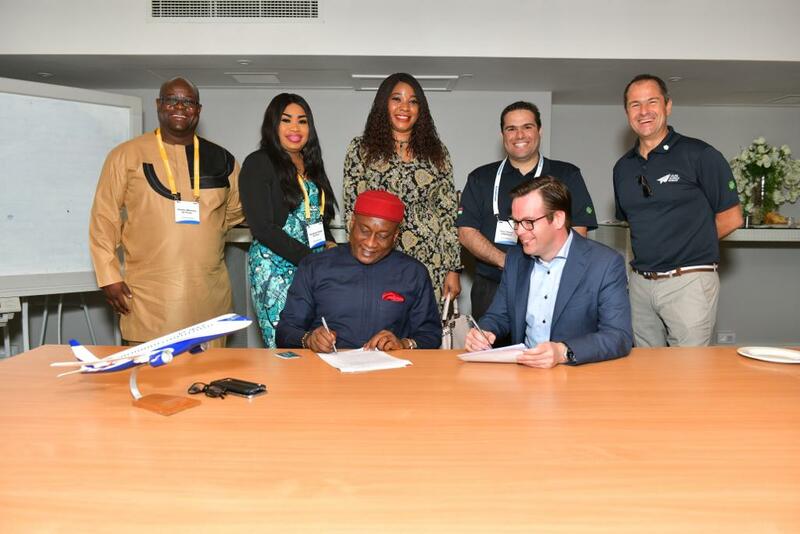 The airline was established to bring highly skilled work opportunities to the people of Nigeria, boosting connectivity, and therefore the economy, in the region.